A makeover for self and society. 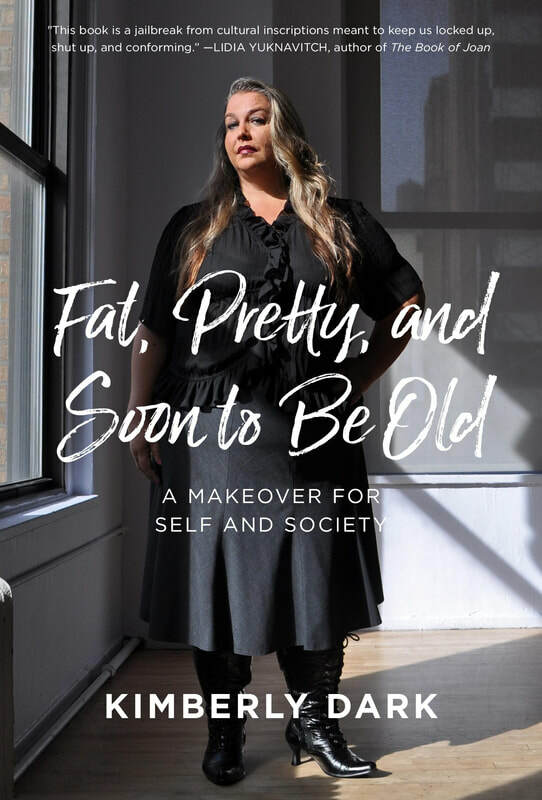 Fat, Pretty, and Soon to Be Old is a moving, funny, and startlingly frank collection of personal essays about what it means to look a certain way. Or rather, certain ways. Navigating Kimberly Dark's experience of being fat since childhood--as well as queer, white-privileged, a gender-confirming "girl with a pretty face," active then disabled, and inevitably aging--each piece blends storytelling and and social analysis to deftly coax readers into a deeper understanding of how appearance privilege (and stigma) function in everyday lief and how the architecture of this social world constrains us. At the same time, she provides a blueprint for how each of us can build a more just social world, one interaction at a time. Includes an afterword by Health at Every Size expert, Linda Bacon. Nothing is more brilliant and juicy to me than a woman stepping fully into her self—mind, body, and spirit, full throttle, without apology. . . . Kimberly Dark has been illuminating the path for a long time. This book is a triumph. This book is a jailbreak from cultural inscriptions meant to keep us locked up, shut up, and conforming. In Fat, Pretty and Soon to Be Old Dark explores the real of her own stories to question the currency of beauty and appearance. What have we actually been sold? What have we bought into about our bodies? Has the exchange ever really been worth the price? In this honest and insightful collection, Kimberly Dark offers us a new story about the body, one I believe we should all buy.